No matter the season, it's always a good time to get outside, enjoy the fresh air and appreciate the beauty of nature. 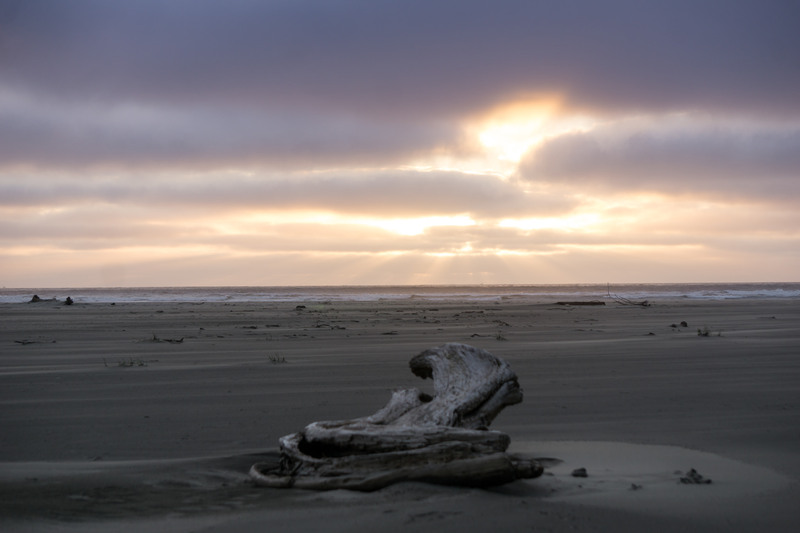 The Washington Coast offers some of the most beautiful natural surroundings in the world. The mild temperatures year-round make it easy for people of all ages to get outdoors and experience a new trail through towering evergreen trees or along stunning coastlines. Below we've highlighted the top four hikes in Grays Harbor County that locals and tourists should quickly add to their to-do list. Colonel Bob: Perhaps the most well-known hike in Grays Harbor, Colonel Bob is a wonder for the eyes. Although this trek is not for the faint of heart, the views from the top are as rewarding as they come. Located in the lush Quinault Rainforest in the Olympic National Park, the Colonel Bob trailhead actually has two starting points for hikers to choose from. The first proves to be a more strenuous and longer trail totaling in at 14 miles roundtrip. The second trailhead, Pete's Creek, is a little less difficult totaling in at 8.2 miles round trip, although has steeper inclines throughout the entire duration of the hike. No matter which trailhead you chose to begin your journey at, the end goal is the same. At the 13 mile marker, after traversing inclines and switchbacks on various terrain through fields of wildflowers and thick green rainforest, be sure to take a breather at the cascading river before continuing the last mile to the summit. If you're low on water, this a good place to fill up as you'll gain nearly 1,000 feet within this final mile. Once you reach the top of Colonel Bob, all your worries will be left behind. The 360 degree views from the top stretch as far as Mt. Rainier to one side and the Pacific Ocean to the other. You will also catch a glimpse of the surrounding Olympic Mountain Range with its snow covered peaks as well as miles upon miles of surrounding rainforest below. Be sure to leave a few hours to make your way to the bottom before nightfall as the journey down is at a decline and not easy to maneuver in the dark. For additional information on this hike, be sure to read the Washington Trail Association (WTA) website here. 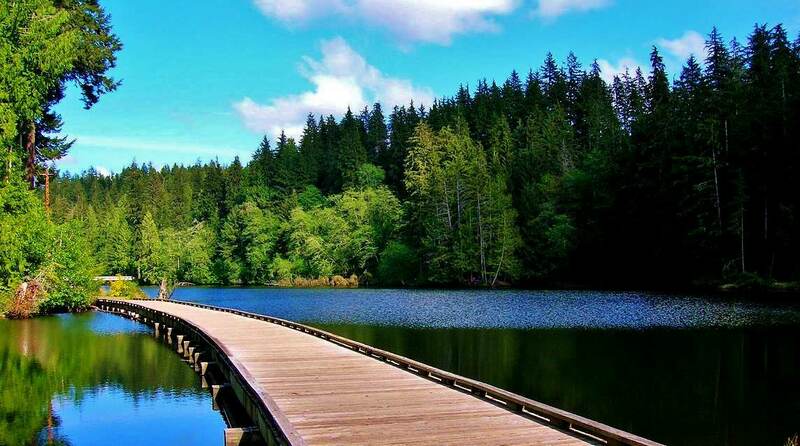 Lake Sylvia State Park: Montesano's own Lake Sylvia is a beautiful Washington State Park located in close proximity to the quaint city center. With nearly 250 acres of land to camp at and explore, opportunities are abundant for trails to meander and enjoy. In the summer months, take a dip in the tranquil lake or cast a line and fish with the family. For those up for a moderately difficult hike, make your way to the five mile loop trail that begins at the campground, continues through the beautiful forest and even crosses a scenic covered bridge. 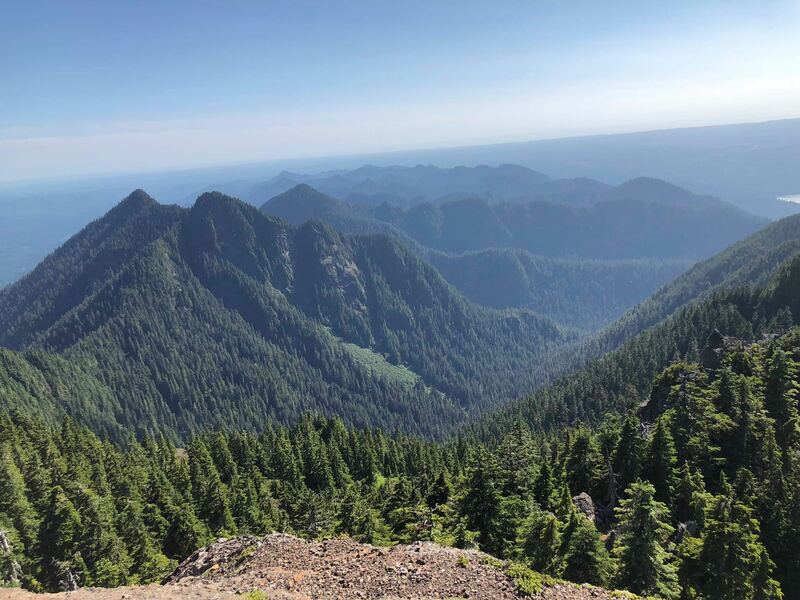 If you're interested in extending this hike, the park trails connect to a network of hiking and biking trails in the surrounding 5,000-acre Montesano City Forest. History is plentiful in this park as it sits on the site of an old logging camp rich in PNW stories from the past. As you wander the trails, it's hard not to notice the massive old-growth stumps that dot the landscape and remnants of logging equipment, reminding you of the area's rich timber history. Once logging ceased in this area in 1930, the dam that creates the lake was used to power the city of Montesano. Lake Sylvia proves to be both a history lesson as well as the perfect hiking area in Grays Harbor. Learn more about Lake Sylvia State Park by following this link. 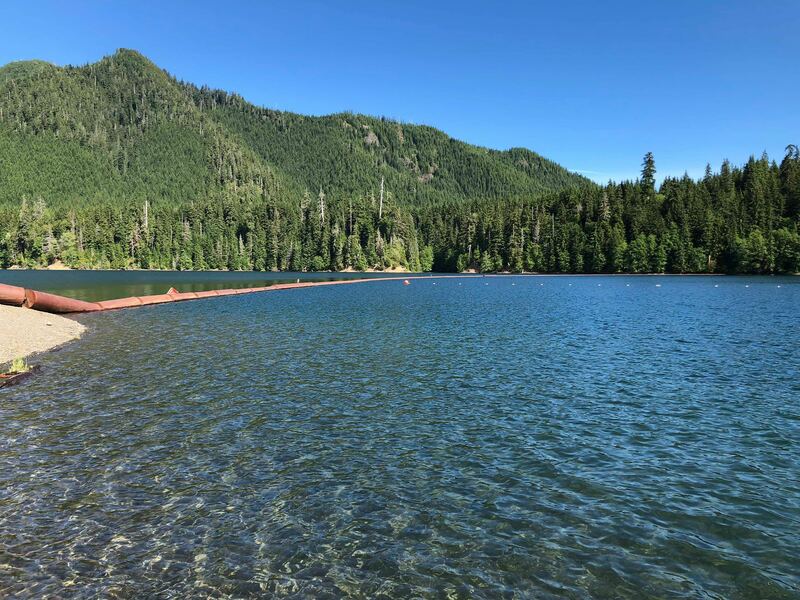 Wynoochee Lake: Located at the mouth of the Olympic Mountains, this family friendly hiking location is a great choice in the summer months. Take a pleasant drive 28 miles north of Montesano to the Wynoochee Lake area boasting multiple family-friendly paths. Be sure to plan accordingly and research this area of Grays Harbor as there is limited cell phone service. Before making your way to the day-use area of the lake, pull off and take in the beautiful views of the Wynoochee Dam. Signage along the paths offers detailed accounts of the history of the area while the views from this lookout point give visitors a sense of how large and powerful a dam can be. Next, continue up the road to the main Wynoochee Lake parking area. Here, the Lakeshore Trail begins where adventurous hikers can make their way to Maidenhair Falls around ten miles away from this starting point. Visitors can also access this waterfall from another trailhead, follow this link to learn more. The Lakeshore Trail is also great for those in search of a leisurely path through the surrounding wilderness that they can continue on for as long as they like before turning back. If a waterfall sighting is high on your to-do list, consider a journey to the lesser-known Spoon Creek Falls. Totaling in at just under a mile, this trail leads to an iconic PNW scene and is well worth the effort. After hiking your fill around this beautiful lake nestled in the mountains, enjoy a picnic at the day-use area or even a dip designated swimming area in the crystal clear waters. Learn more and plan your hiking trip to Wynoochee Lake by clicking here. Grayland Beach State Park: If you're in search of some fresh air and beautiful views of the Pacific coastline, take a drive to Grayland Beach State Park. Campers and visitors for the day can easily explore this 581-acre, year-round Washington State Park on foot or by bike. Choose from one of the five clearly marked trails beginning at the campground and make your way through grassy dunes and wind-bent pine trees to the awe-inspiring Pacific Ocean. Here, you can continue walking along the beach in either direction while enjoying a picture perfect scene. Fly a kite with the family, hunt for shells and sea glass or simply relax in a setting that's sure to take your worries away. Discover more about this State Park here. For more information on these hikes and other hikes in Grays Harbor, visit the Washington Trails Association website or download their app in the App Store.